NintenGen: 2007 the year of Nintendo? 2007 the year of Nintendo? "At the current time, Wiis are outselling PS3s (which premiered in the Americas 2 days earlier) 2 to 1, not even taking into consideration the huge success of the DS (especially over the PSP). Today we enter 2007. We wait for Super Mario Galaxy, Metroid Prime 3: Corruption, BWii, Strikers Charged, Wario Ware: Smooth Moves, Super Smash Bros. Brawl, Disaster: Day of Crisis, Square-Enix's first Wii game(s), Capcom's, and many, many more, not to mention all the fantastic DS games in the works. So is 2007 the year of Nintendo?" One can only hope that the success of the Wii will continue and that developers will make games from the ground up for the system. If they do that instead of porting old graphics engines, the Wii will see its true potential. I agree with you 100% the success of the Wii will be determined on 3rd party developers making games from the ground up for the system. Poor ports using dated engines will kill the system just like how lack of 3rd party AAA games end Gamecube run for dominance. Ubisoft can only get away with doing that for so long and even then its not acceptable. You guys are overreacting about the ports. Keep in mind, both the PlayStation 3 and Xbox 360 have so many ports filling up their primary library as well. It isn't because third-party developers don't like them, it's because they're not only testing the waters of the system, but getting used to the development environment of the next-gen consoles. When developers are handling new technology, whether it's an updated graphics card or a motion sensing controller, there's always a learning curve. I know the Wii is supposed to be easy to develop for, but we don't know the extent of how easy it really is compared to the developmental environment of the Xbox 360 and PlayStation 3, and how accessible developers find it to be. In fact, Gabe Newell of Valve stated that the Nintendo Wii is harder to develop for because of the controller. The Nintendo Wii isn't just a GameCube with a new controller, and developers can't churn out graphics as good as Resident Evil 4 in a matter of months. I know it's frustrating, but it's about a month or two after the Wii was released and developers will keep putting out ports until we are truly in the 7th generation stage. We've seen ports come onto the PlayStation 2, GameCube, and Xbox for months after they were released, so I'm not really surprised, shocked, or even angry about the Wii. That's true (neo). I say look at the games like ssx blur,sonic,metriod,mario,etc (2nd wave) and you see a big difference from the launch games. and it's true developers do need time with the new systems to get use to them, as well as making the graphics better. p.s HAPPY NEW YEARS Metaldave , let me know when you post your system code, alright man peace. On the graphics issue, the reason why Nintendo Wii games look similiar or worse than the GameCube is because developers were building many games based on the projected specs, which weren't a whole lot higher than the GameCube. Do you remember the specs Matt C. from IGN posted months ago? Those were the ones, and Nintendo confirmed that those weren't the Wii specs. When developers start making games for next-gen consoles, they always receive projected specs before they even get the SDK's. Once they do, they make a representation demo of how the game might look like if the system's spec is the same as the projected ones. Remember Dark Sector, and the very first video that was shown a couple of years ago showing off some CG-esque graphics? Well, fast forward to today. The Dark Sector you guys see now not only is dramatically different in art direction, but the graphics quality doesn't look anything like the videos that was shown. Projected specs for the Xbox 360 and PlayStation 3 were higher than the actual specs and developers were making represenation videos that almost look like CG. When it comes to the Wii, the expectations are lower. 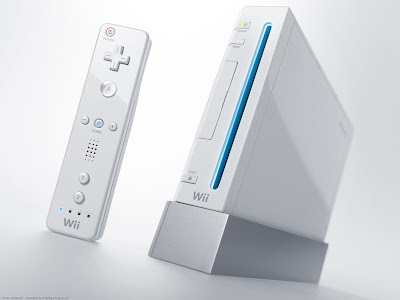 The thing is, nobody knows what the real specs of the Wii is despite the fact the system was already released but after seeing games like Super Mario Galaxy, Super Smash Bros: Brawl, and Metroid Prime 3: Corruption, it's safe to assume that the Wii can do alot more than the projected specs can make it. Good comment neo, you hit it right on the mark! !.